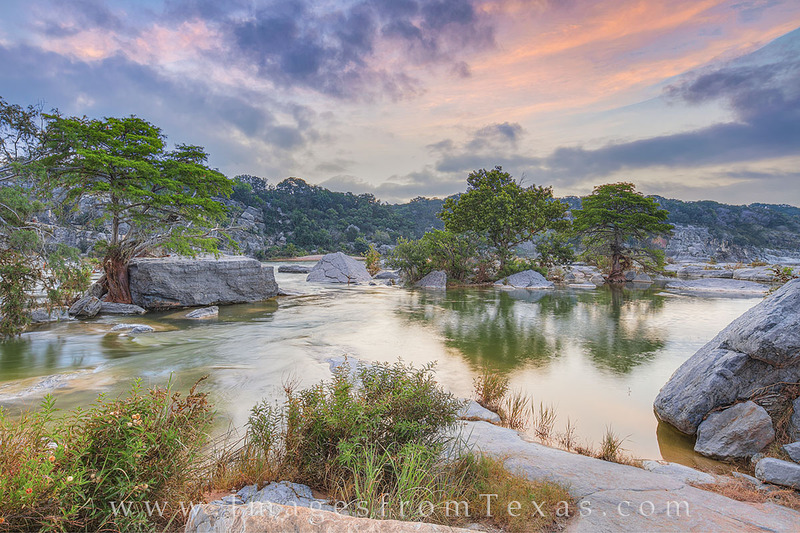 Pink and blue pastel colors filled the morning sky over the Pedernales River in the Texas Hill Country on this June morning. With higher than normal waters, this usually tranquil oasis was a fast moving stream. Still, it is one of my favorite places for sunrise. Photo © copyright by Rob Greebon.